Enter to win the ride of a lifetime. Get your motorcycle crew together for the ride of a lifetime. 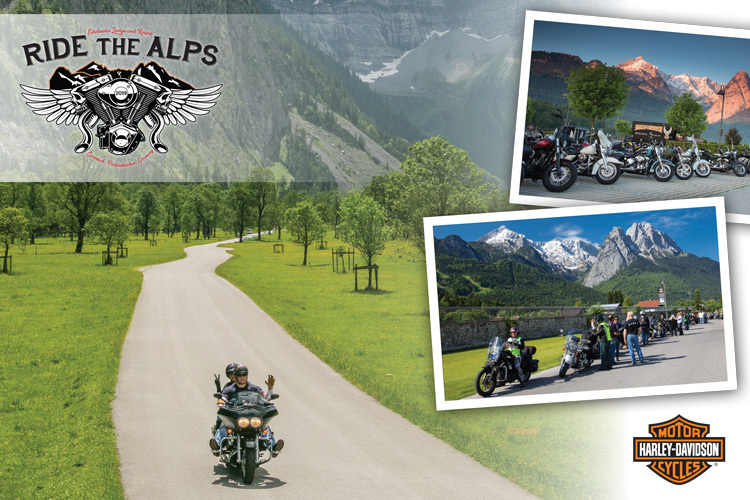 Enter to win a vacation package for two and take part in the 14th Anniversary Ride the Alps Event which will take place from June 21st – June 23rd in Garmisch, Germany. Hosted by the Edelweiss Lodge and Resort, located in Garmisch, Germany. This event allows attendees to ride the most scenic roads in Bavaria. There is a poker run, competitions, food, parties, live entertainment and a traditional Bavarian fest. Last year, over 300 bikers from all over Europe attended, with many riders being military. We hope to see you there and don’t miss your chance at the ride of a lifetime!